Are you afraid about getting the display screens of your electronic gadgets being scratched? 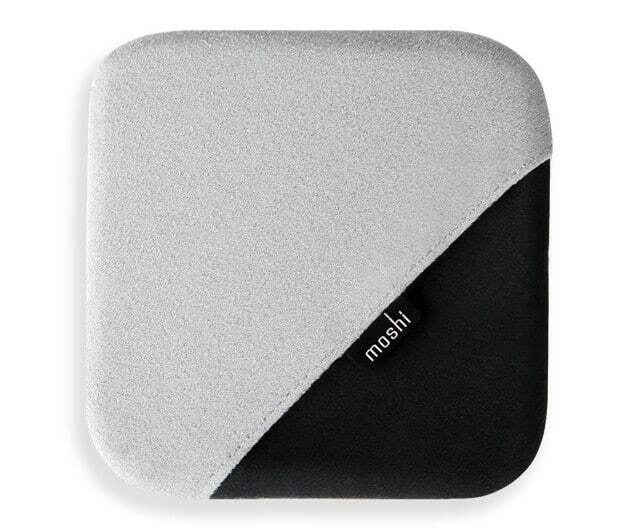 If yes, then Moshi store who are we can say that the purveyors of electronic fashion offer a revolutionary product which will solve all the problems of display screens like scratches, finger prints and dust particles etc. The name of that revolutionary product is Teraglove. The product itself is made from special tetrahedron microfiber. Basically it is designed to remove dust and other stain particles from the display screens of electronic gadgets. So now we can use our electronic gadgets without any tension of their beautiful displays being damaged. It is a perfect match for costly gadgets like iMac, MacBook and iPad etc because it is free from all types of alcohol solvents which affect the anti reflective coating of the products screen. Tetrahedron which is used in the preparation of Teraglove is a perfect fit for removing finger prints and dust particles. Microfiber does not scratch the products screen and is independent from any solvents which are harmful. It is totally free from chemical treatments. It is very easy to use this product. You just need to spray some drops of water on Teraglove and wipe it on the screen of product. Instantly you will notice that all the dust and other finger prints particles will be removed. Its just awesome that such a small product works in simplest of manners. The price of this product is also very modest of 16$. So, go and get your Teraglove today for keeping the displays of your gadgets clean. Exclusive Online Offer, Try An Electronic Cigarette Today! Today at CenterStaging in Burbank, CBS- Paula Abdul – Live to Dance is holding auditions, they expect well over 500 people based on registrations and more people will show up. Parking is not allowed on the CenterStaging facility, and do not park in front of the 3400 Winona building or you will get a ticket, be sure to read the signs before parking, best advice is to park either at the burbank airport parking lot, or Marriott Hotel airport parking, all day parking at each of these locations is about $10, much less than a parking ticket. There will be lots of very talented dancers auditioning, if you make it past the auditions you will be then go on to the second round where they will pick 60 dancers and then from there, 12 will be selected for the show. “We want people that are unique and passionate about dancing and ones that will show me something I haven’t seen before,” she explained during an interview on Ryan Seacrest’s KIIS-FM radio show. Now casting based on British Sky One’s Got to Dance. Music selection is essential to a great performance so we would advise you to think really carefully about your choices. Remember you’re not only performing for the experts but also for America so you should try to pick music that will resonate in the audition dome and through the TV set! Think about using music in your act in a unique and original way. Why not fuse a style of music to your dance that will be original, entertaining and creative! DO NOT USE any music or audio from FILMS or TELEVISION. Please also note that NO lewd or offensive language is allowed in your choices. A general rule to remember is that the more well known and popular the song, the better it may resonate on the show. We encourage you to pick popular music for at least part of your performance. Here’s a couple of videos from the Live To Dance auditions. HostGator provides over 150, 000 customers with innovative products and services designed to complement their existing businesses. From Freelancers, to Fortune 500 companies in more than 170 countries worldwide, we grow at an outstanding rate each day. Super Green Hosting is a first class shared hosting provider who offer free domains, unlimited disk space, unlimited bandwidth, unlimited email accounts and the ability to host unlimited domains. Super Green Hosting are committed to making web hosting simple and understandable for every user. We have ensured our sign up process is as straightforward as possible to ensure customers have no problems setting up their account. Customers will usually receive their login details within 10 minutes of subscribing, making the process swift and efficient for both the customer and the affiliate. Super Green Hosting offer just one plan, one price & one solution which caters for a webmasters every needs and best of all they’re one of few environmentally friendly web hosts within the industry… This unique selling point is making Super Green Hosting one of the fastest growing web hosts to reach the web hosting industry. The Super Green Hosting team has over 10 years experience in the web hosting industry and are dedicated to providing customers with the most reliable web hosting service possible. We guarantee affordable price plans, secure servers, first class 24/7 technical support and a wide range of features. Whether customers want a blog, e-commerce or discussion boards, Super Green Hosting provides them with their own cPanel account to design their site in exactly the way they want, making Super Green Hosting the obvious choice. Dot5Hosting.com is one of the industry leaders in Web Site Hosting. Our affordable packages, low cost domains, and value added services are one of the reasons that Dot5Hosting has become one of the most popular web hosting packages on the internet today. Another reason our customers are so happy with our services is that we have terrific 24/7 customer support, we have a 99.9% uptime and a Money Back Guarantee. Our lowest priced plan offers UNLIMITED gigs of space & UNLIMITED gigs of transfer for only $4.95 / month. This coupon code entitles customers to 20% off our 12 and 24 month plans. Here’s some stock photo sites for those of you looking for stock photos for print or your website. Jupiterimages has been operating commercial graphics and photos sites for over 20 years, providing a trusted, quality service for thousands of satisfied customers. Jupiterimages offers subscription-based graphics resource on the Web with clipart images, animations, photos, fonts, and sounds under various brands, such as Clipart.com, Photos.com, AnimationFactory.com, and Jupiterimages.com. It has millions of images online for creative professionals. Try PhotoShelter’s Websites for $1! Unlike other photo hosting and website services, we help photographers do much more than show pretty pictures. Our sites are backed by powerful marketing tools to help photographers attract new site visitors and build a following, sell prints and downloads, deliver images online to clients, and backup and manage their images in a bulletproof storage system. These robust tools, plus hot looking customizable websites, are why 65,000 photographers have chosen PhotoShelter since 2005.
iCLIPART.com. Access to over 7.8 million royalty free clipart images, photos, photo objects, fonts, web graphics, videos and sounds! Since 1964, Bird-X has been the leader in producing humane pest & bird repellent products. We offer the most comprehensive line of bird control products that are eco-friendly (‘green’), environmentally-safe, non-toxic and non-harmful. Our bird deterrents range from state-of-the-art laser technology to ultrasonic / sonic bird control, bird repellents, bird spikes, bird netting, animal sound repellers, and visual scare repellers. Identity Direct – Your own personal online store!!! Christmas is such an occasion on which people from all sectors share their true feelings of love by giving gifts to each other and we know that love between people increases when they share gifts with each other. It is because gifts are those things which make people to come closer to each other. On Christmas, a lot of people face severe difficulties to send gifts to those relatives who live far away from them. However, identitydirect.com which is an online store has solved this issue because they deliver special services on occasions like these. Moreover, they have branches in different countries as well which include Australia, United Kingdom, United States, Canada and New Zealand as well. This means that you can send gifts to those relatives as well who live in another country. We can say that identitydirect.com is a complete online store through which we can send gifts to all people. They specialize in baby and cartoon stuff but this doesn’t mean that they do not deal with gifts related to mature people. You can send toys to babies, you can send clothes to mature people and you can even send family gifts as well through this store. The most exciting feature about the services of identitydirect.com is that they offer special services on occasions like Christmas. Keeping this thing in mind, we can say that they are Christmas specialists. 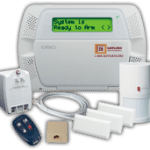 Moreover, we can also get their special features and special packages by getting ourselves registered with identitydirect.com. In a nutshell, we can say that this online store is basically a superstore of gifts for all types of people and you just cannot find so much variety on any other online store. So, get your gift orders booked today on the best online gift store. SOCIAL INNOVATION “FAST PITCH” GETS FRUITY! Anti-hunger non-profit, Food Forward (FOODFORWARD.ORG ), represented by Founder/Executive Director, Rick Nahmias, was named winner of two awards at the LA SVP (Social Venture Partners) Social Innovation Fast Pitch last week. innovation and holds the greatest potential for wide impact. which was held at USC Thursday evening, October 21, 2010.
organization, providing over 1 million servings of fresh free local fruit to LA area pantries. They have built an all-volunteer corps of hundreds of Angelinos of all ages who take part in upwards of a dozen picks a month ranging from one tree to five hundred, with 100% of the harvest going to feed LA’s hungry. members, and most importantly, funds to hire their first paid employee. seeing the food waste in his own neighborhood said, “Just making it into this room was a win in itself. Working under the fiscal sponsorship of 501c.3 organization, LA Community Garden Council, donations to Food Forward are tax-deductible. We sincerely appreciate your support and committment to our growing organization and hope to see you all in a tree very soon! Thank you for making our first two weeks of service a success! The Cheese Store of Pasadena endeavors to provide the most wholesome, compelling and delicious selection of cheeses and specialty food items to Pasadena and the communities that surround it. Please join us this Thursday, October 28, for the first of our bi-weekly after hours socials. We will feature four cheeses and two ales. This event is from 7 to 8:30 p.m. Admission is $20. Cheep is currently in private beta but we’d like to offer you a sneak peek. Share your e-mail address with us below and we’ll add you to our invite list! A small browser add-on, Cheep recognizes when you’re looking at a specific product and helps you find the best deal, by showing you current, accurate price comparisons from around the Web, as well as reviews and ratings, unobtrusively and in real-time. When you join Cheep, you also become part of a community. Cheep lets you share your shopping activity – where you browsed, what you bought, whether you liked it and how much it cost – with other members. www.getcheep.com shows a real-time stream of shopping activity – as you peruse and purchase products online, you can share that information with friends and like-minded shoppers in the Cheep community, and, in turn, view and comment on their shopping tastes. Cheep is smart, social shopping brought to you from blinkx. Cheep is a small browser add-on. Once downloaded, Cheep works by recognizing when you’re looking at a specific product and helps you find the best deal, by showing you current, accurate price comparisons from around the Web, as well as reviews and ratings, unobtrusively and in real-time. Cheep appears as a small bar at the top of your screen. When you join Cheep, you can also become part of the community if you want to shop and socialize with friends and like-minded shoppers. The website, www.getcheep.com, shows you a real-time stream of shopping activity created by Cheep members, as they peruse and purchase products online. The site displays where members browsed, what they bought, whether they liked it and how much it cost, sharing that information with the Cheep community. Using Cheep is as simple as signing up and clicking a button. Just fill out the form, download the plug-in and start shopping! Once you’re signed up, you can connect through Facebook or Twitter, add friends and comment on their activity, or shop online as usual while the plug-in shares your browsing, purchases, likes and reviews with the community. Cheep is for anyone who shops online, likes a good deal and enjoys interacting with friends. Avid online shoppers, bargain-hunters, social networking fiends and product experts will find themselves right at home in the Cheep community, along with folks who just want to make sure they’re getting the best deal. DO I NEED AN ACCOUNT TO USE CHEEP? Yes – if you want Cheep to find you the best deals, you have to download the browser add-on. But, you’re also welcome to watch all the news, views and reviews unfold on www.getcheep.com, or search for a specific product, without an account. WHAT KIND OF PRODUCTS CAN I FIND ON CHEEP? Cheep works with just about any product you can purchase online! We’ve indexed nearly 200 of the Web’s biggest and best retailers, so everything from batteries to pinball machines are on there for your viewing, reviewing and shopping pleasure. WHY CAN’T I FIND ALL OF MY FAVORITE STORES/PRODUCTS ON CHEEP? Cheep is an ever-evolving service that grows along with its community, so the only reason your favorite store isn’t on Cheep is because we don’t know it’s your favorite yet! Today, there are almost 200 top stores currently supported on Cheep, but that number will continue to grow as our community shops around the Web and lets us know what neat stores we need to check out. HOW CAN I INVITE FRIENDS TO JOIN CHEEP? On and offline, shopping is a social activity so we’ve made it incredibly easy for you to invite friends to join you on Cheep. Click on Find your friends if you want to invite friends from your personal e-mail account such as Gmail, Hotmail, Yahoo! and Aol. WILL CHEEP BROADCAST EVERYTHING I PURCHASE? CAN I SELECT WHAT I SHARE WITH FRIENDS? Yes – Cheep lets you share or hide your shopping session from friends, which comes in handy around gift-giving season. CAN I CONNECT CHEEP TO FACEBOOK? TWITTER? WHAT ABOUT PRIVACY? IS IT SAFE? HOW CAN I STAY IN THE LOOP ON NEW DEVELOPMENTS FROM CHEEP? We’ll find you when we have something to share, either through e-mail or from the homepage of www.getcheep.com. Of course, we’d also love to hear from you on how we can improve Cheep. You can drop us a line at [email protected] or @getcheep on Twitter. People who have extra weight on their bodies want to get those food supplements which will help them in losing their extra weight along with keeping them healthy. Moreover, they also keep a special attention on the key features of the product which they use. So, keeping this thing in view, Maqui Berry Select is rated as number one super food and has very impressive features which are given below. .Simply it’s a powerful antioxidant support. Most of the people are just not aware about the benefits which a person gets by using food supplements which are extracted from Chilean berry. They think that the uses of Maqui,s food supplement are just limited to burning down the fats of a person. However, they will realize that Maqui,s food supplements have multiple advantages if they will analyze and search about the benefits of these food supplements. Our record speaks for itself. One of our customers named Crystal commented this about our product. 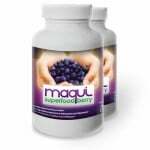 So go and get your Maqui select berry to lose your weight and rediscover yourself by looking slimmer again. Win $10, 000 to go back to school. CLICK HERE! Michele Zack: For those who have enquired about pre-orders, I can say apple is most reliable this time of year. I can also do plum and pear tarts. They are $12 each including pie tin. If you return, you get $1 back! This week at Test Kitchen we celebrate Mexico’s Bicentennial, curated by Guelaguetza’s Bricia Lopez. Wednesday, October 27th and Thursday, October 28th Test Kitchen will host Baja California Chefs Diego Hernandez, Ismene Venegas, and Guillermo Barreto. Baja California is perhaps the greatest place for contemporary Mexican dining in all of Mexico. Its unique products from land and sea are abundant, and in many cases, not found in any other part of Mexico. As a result, Baja has lured and cultivated a group of maverick chefs that are redefining Mexican cuisine and expanding its rich vocabulary. These three accomplished chefs from Baja’s Baja Cuisine and Baja Med movement will be serving a $50 prix fixe menu at Test Kitchen. It was visits to a Tolucan market at a young age that set Diego Hernandez’s course towards becoming a chef. Chef Diego started working under Benito Molina at the age of 18, then at Pangea in Monterrey with Guillermo Gonzalez, and finally off to Mexico City where he learned the vanguard of Mexican gastronomy under Enrique Olvera. Chef Diego Diego Hernandez worked in the best kitchens in modern Mexican cuisine, received a degree from the Culinary Art School in Tijuana, in 2007 earned the honor of being named best young chef of Baja California and opened his own restaurant, Restaurante Uno. Chef Guillermo Barreto just took over the picturesque El Sauzal restaurant formerly occupied by a Oaxacan restaurant at the Viento wine shop, just minutes before you hit Ensenada. The passionate and easy going Chef Guillermo Barreto owns La Piazza, a successful Italian restaurant in Mexicali, and now wants to be where the action is, in Ensenada. Like many chefs in Baja, he sources the finest ingredients, and deftly marries the Mediterranean and Mexican flavors in his restaurant. You might even call his style of cooking Mex-Italian. Chef Ismene has cooked at Restaurante del Parque in Ensenada for the past two years. Only in Baja can you find a pizza of quelites, the prized wild greens of Mexican gastronomy, cooked in a wood fired oven of adobe, a contemporary presentation of a Sinaloan aguachile(raw seafood cooked in lime and chili), and panzanella. Friday, October 29th and Saturday, October 30th Michelin Star Chef Joshua Gil will be cooking a five course preview of Bricia Lopez’s new restaurant, Mitla. Mitla will bring modern Oaxacan cuisine to Los Angeles, merging tradition with nouveau technique. The $55 menu includes Sopa De Guias, Clayuda, Barbacoa de Guajolote (braised turkey), Amarillo de Venado (venison and yellow mole), and Niño Envuelto (guava sponge cake). Chef Gil’s menu will also include $5 bar bites, including Chorizo and Oaxacan Cheese, Croquettes, Mole Drummets, Cemita – Cecina, and Tostada de Chapulines. No reservation? No problem! To accommodate everyone who wants to join us, including last minute diners, we always hold a few tables for walk-in guests. Test Kitchen is mixing it up with $9 cocktails after 9pm every night. Guests can enjoy a handcrafted $9 cocktail using only fresh squeezed juices, along with our Bar Bite Menus. Special Bar Bite Menus are available at the bar every night during dinner service and change with every chef. Walk-ins are always welcome at the bar and in the dining room. We’ll be closed the evening of Tuesday, October 26th for a private event with Blackboard Eats. Test Kitchen is located at 9575 West Pico Blvd. LA 90035. Dinner is served beginning at 6:00pm, with the last seating at 10:30pm. Tables are limited and reservations will be available online only through the Test Kitchen website. For more information on Test Kitchen including current chefs, menus and reservations, please visit: www.testkitchenla.com and www.twitter.com/TestKitchenLA. There are only a few tickets remaining. Register now. The Underground powered by PDC10 is a highly anticipated annual event that is organized by Microsoft for the technology and startup community in Southern California. The event will feature a wide range of speakers and activities, including a Question and Answer session with Dan’l Lewin (Corporate Vice President for Strategic and Emerging Business Development at Microsoft) and Blake Irving (Executive Vice President and Chief Product Officer at Yahoo!). Jason Nazar (Co-Founder and CEO of Docstoc.com, a prominent startup in the LA community) will be moderating. In addition, this invitation-only event will feature members from some of Southern California’s hottest startups, including MobilePayUSAand CloudBasic. Local developers of some of the most eagerly awaited Windows Phone 7 applications, including Realtor.com and Slacker Personal Radio will also be speaking. Throughout the course of the evening, these speakers will illustrate how they are taking advantage of the rapidly changing mobile and cloud computing landscape through their use of Microsoft’s latest innovative technologies. Event participants will have the chance to win great prizes, network with other technologists and enjoy an open bar and appetizers throughout the course of the evening. Doors open at 6:00PM and speakers kick off at 7:00PM. The first 100 registrants to arrive will receive limited edition door prizes! We are sorry to report… This Event has been postponed. Five continents get re-created in one movie studio at Taste of the World Festival, a massive food free-for-all the first weekend in November. The 22-acre Los Angeles Center Studios is transformed into an EPCOT for the palate, as restaurants, caterers, and food trucks serve tapas-sized plates for $1-7. And there’s no heavy entree fee: it’s only $10. Mexican to Japanese, but this is a chance to check out cuisine not normally found in LA. Restaurants bring far-flung dishes from Romania, Holland, and (celebrate the miners!) Chile while the Chomp Chomp and Ta Bomb food trucks bring Singaporean and Brazilian street specialties. Besides the main draw — the grub — there are World’s Fair-style pavilions on international technology and tourism (promising travel deals for attendees). You can also save 50% using code “facebook” when you buy tickets through the official site. Apart from her harrowing ordeal with Mel Gibson, Oksana Grigorieva described Gibson as a lunatic talking to himself while frothing in the mouth. Strong accusations from the Russian born musician who has a baby daughter with Gibson. After declaring that she was scared for her life Grigorieva narrated every inch of her relationship with Gibson as though she had gone through hell. It also included Gibson hitting her while holding their baby and threatening to kill her. She also claimed that Gibson was going through a depressive state and if not holding his Catholic faith above himself he would have committed suicide long ago. Documenting every threat he received from Gibson through his calls had given her some kind of leverage but to Gibson she was merely extorting him which Grigorieva falsely denied. The whole fiasco is under investigation and observers say it could really turn into a circus what with Grigorieva being hailed as an extortionist while Gibson a domestic wife beater. In the end Gibson proposed to pay his former girlfriend $15 million to turn over all the evidences while a judge has determined Gibson’s child support payments should be adjusted from $5, 000 to $20,000. Apparently the problem is so bad it is scaring away many travelers from visiting the Big Apple. How can you find out how bad the bed bug problem is?